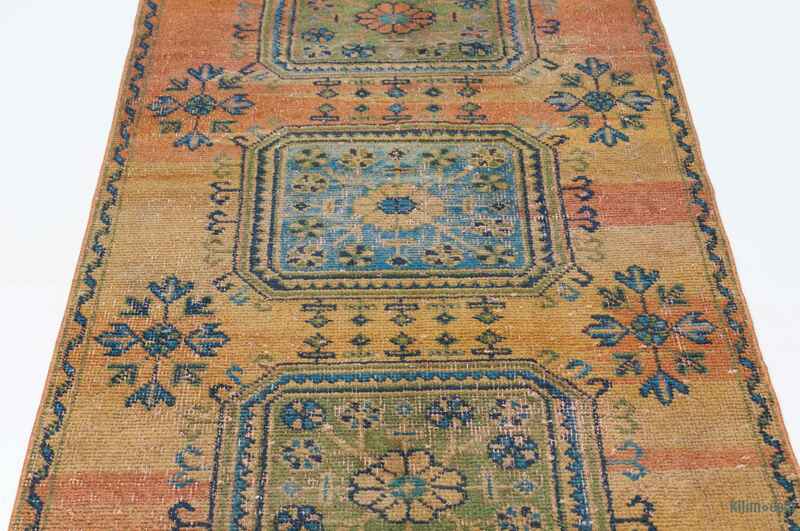 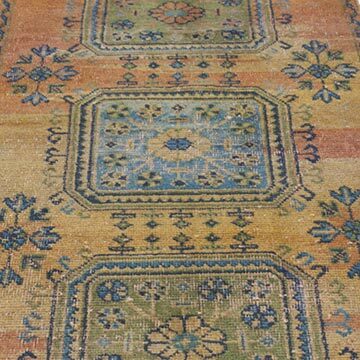 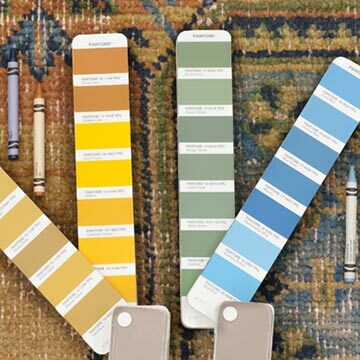 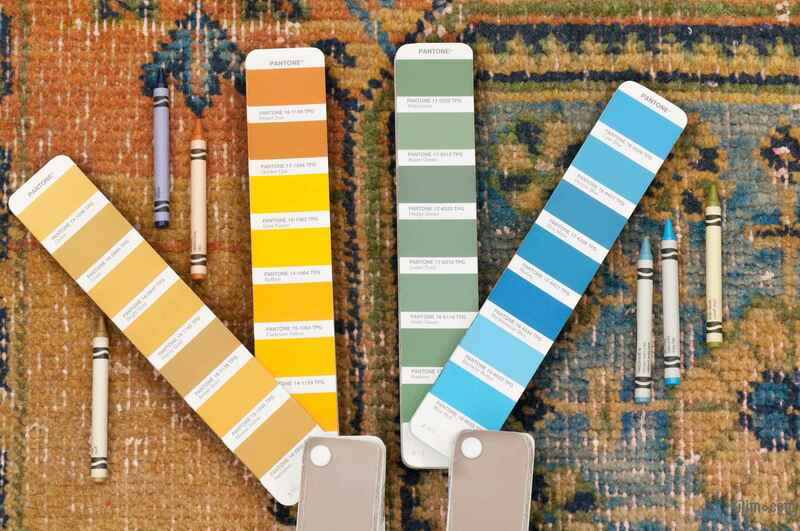 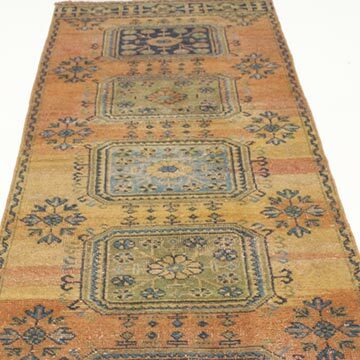 For a contemporary look with a vintage appeal, we source Oriental rugs hand woven in the 60's and 70's in excellent condition and carefully trim the piles to achieve an eye-catching “distressed” look. 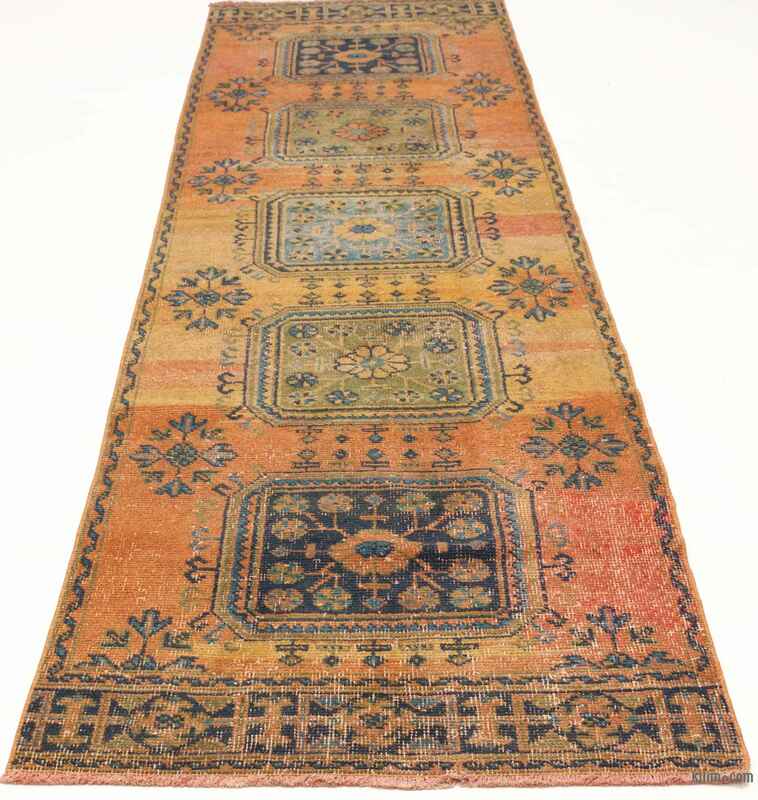 Woven with wool on cotton, this fine rug measures 3'1'' x 11'5'' (37 in. 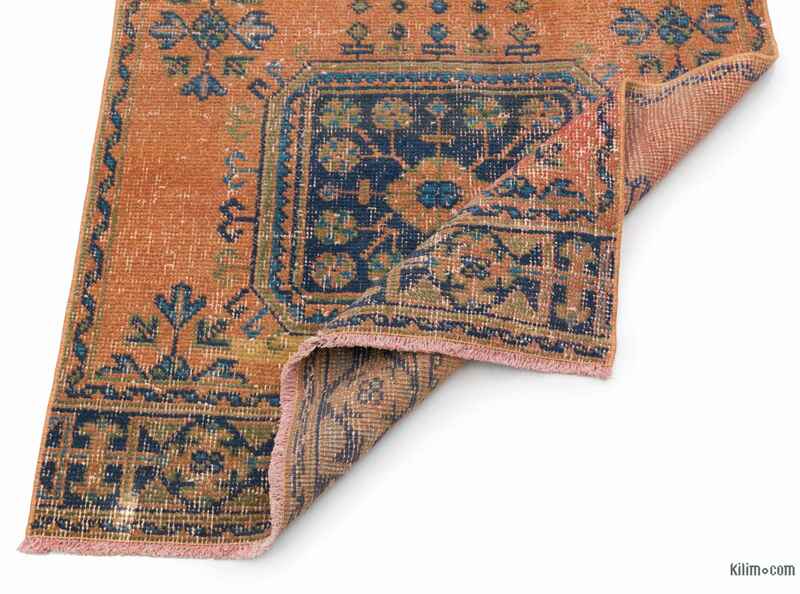 x 137 in.). 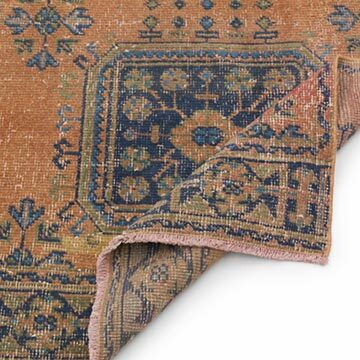 In addition to being unique and hand-knotted, these rugs make a very special statement about bridging generations of artisanal skill and knowledge over time with a charming look that complements any modern or bohemian décor.